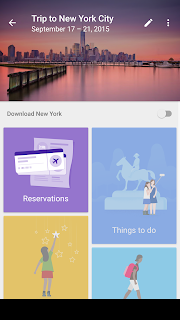 Today, Google released Google Trips, which gives you a way to manage your Trips in a very similar manner to the Trips Bundle in Inbox. 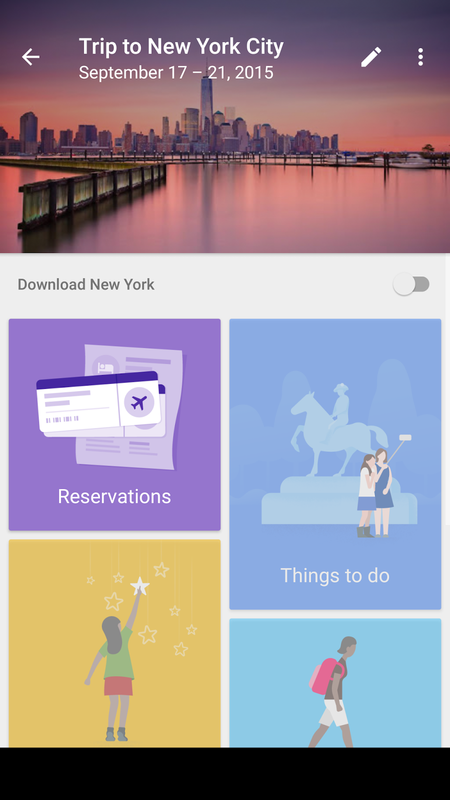 This is a standalone app that gives you access to lots of details of your trips, including the ability to keep the information locally on your device for offline viewing. The nice piece here, though, is that you can change the name of the trip and the dates of the trip using the Google Trips app. This will then sync back to Inbox by Gmail and your trip will now have the new name and dates. In addition, if you are travelling to a destination, but your trip in Inbox shows the airport city as the destination, you can change the location as well. The process is simple. 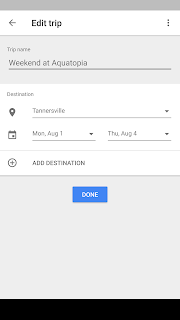 Usning the Google Trips app, open the trip you want to edit, click the pencil on the top right, and change the information you want to change, dates, name, or location. Simple as that. can I edit/modify the trip details on PC instead of app. Recently my changes have not been syncing back to inbox. 1.Google trips creates a bundle from hotel confirmations. 2. I go to trips and update the name/dates of the trip. I've used this app for over dozen trips and I remember it working a lot better. Any troubleshooting steps I could try? I could only think of reinstalling the app but that didn't work. Any troubleshooting steps for when the changes made in the trips app does not sync?